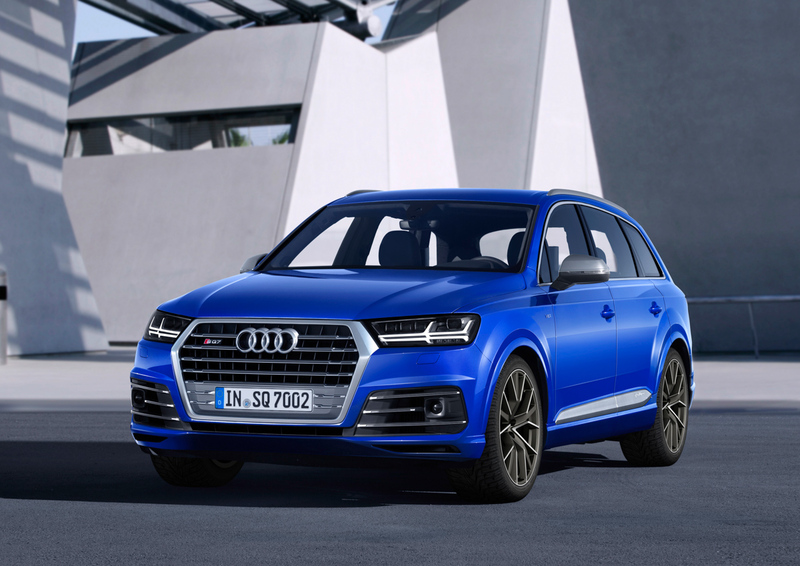 With a continuously growing family of SUVs, the current father figure in the range is the Audi SQ7. We just took it for a drive. This performance sports utility vehicle features a 4.0 Litre Diesel V8 Engine with Twin Turbochargers. This power plant makes 435 horsepower and 664 lb-ft of torque between 1000 and 3250 rpm. The car sprints from 0-62-mph in 4.8 seconds and is limited to 155 mph. The transmission is a Permanent 4-Wheel Drive 8-speed automatic. The kerb weight of the car is 2330kg. Thats That. 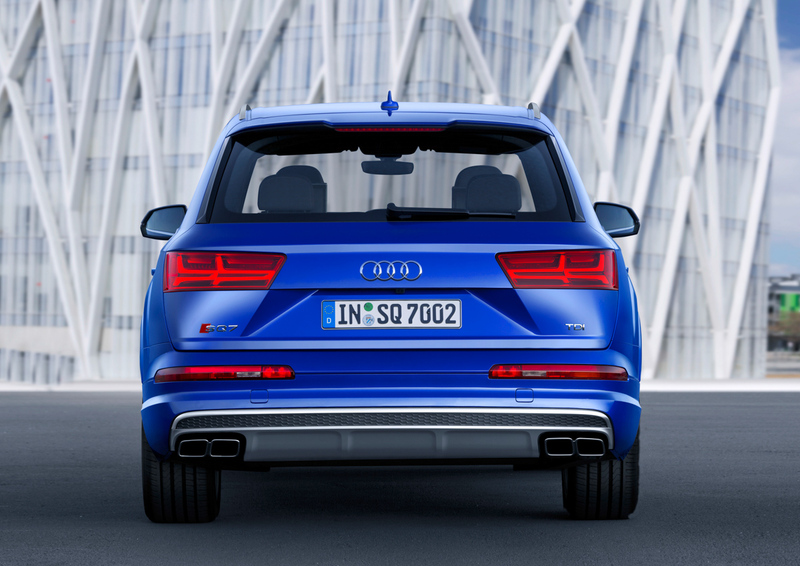 The Audi SQ7 features important design traits of a performance SUV. 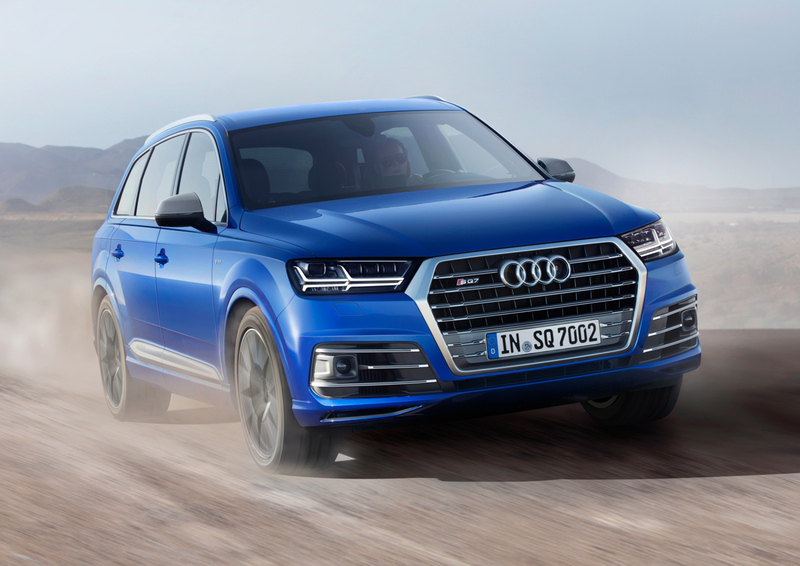 The generally brutish body styling and larger wheels already add flare above what the normal Q7 offers, but it’s the small details such as the SQ7 badging, the large grille, carbon fibre elements and of course, the quad pipes on the rear of the car that make it the Flagship SQ Model. You can recognise it on the road and you can most definitely hear it too. If you step inside the car, you will find comfy leather seating, aluminium and carbon fibre trims, virtual cockpit as standard and so very many options to tick, should you please. The comfort is stellar, and thanks to slightly smaller wheels on our spec, we had a very pleasant ride. The climate control, heated seats and cosy ambient lighting also give that perfect winter driving experience. Particularly liking the S-Line badging on the headrests and the Alcantara finishes in between main materials. Driving the car is an enjoyable experience to say the least. With its smooth power delivery and refined comfort, the car is able to transport you from A to B in pleasure. It also has a naughty side, and this side can be activated very easily with your right foot. With its deep, burbling exhaust note and rapid acceleration you can make the car move rather quickly and this becomes an addictive experience. 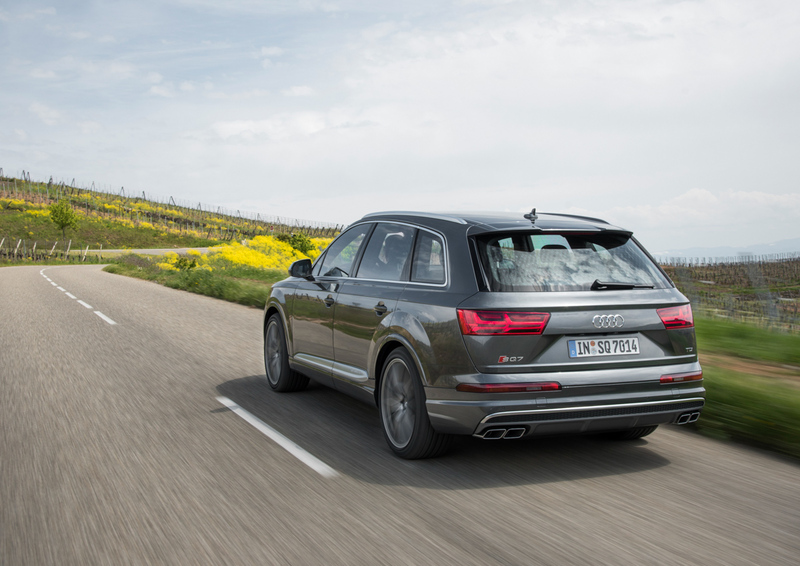 The Audi SQ7 “can be” economical with a combined 37 MPG on offer, but as I mentioned, if you exploit the performance of this car, you will most certainly reduce that number. The constant surge of torque and almost instant throttle response also further adds character. Very good fun. Let me get this straight. 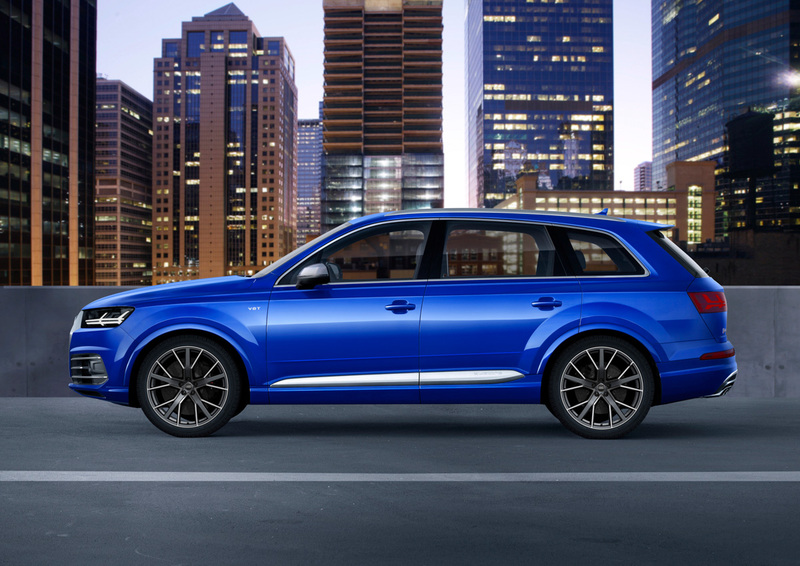 The Audi SQ7 is a stunning car. It has the performance and comfort to satisfy the most demanding driver. I feel that The only thing separating the Audi SQ7 from extreme performance SUVs such as the Cayenne Turbo and the Range Rover Sport SVR is the diesel engine. It offers incredible comfort, smoothness, power, economy and speed, but it simply doesn’t offer up the thrills in the same way as the cars I mention above. 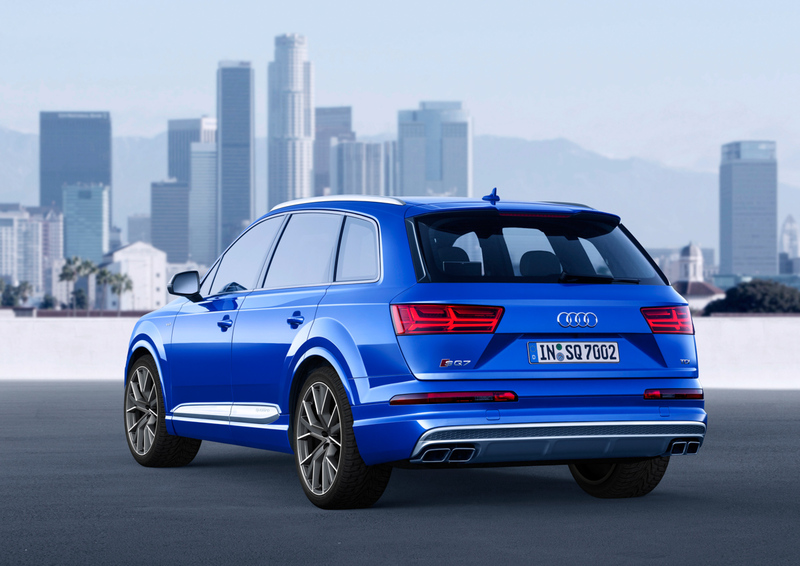 Maybe an “RSQ7” with a mean petrol V8 is needed to complete the range.